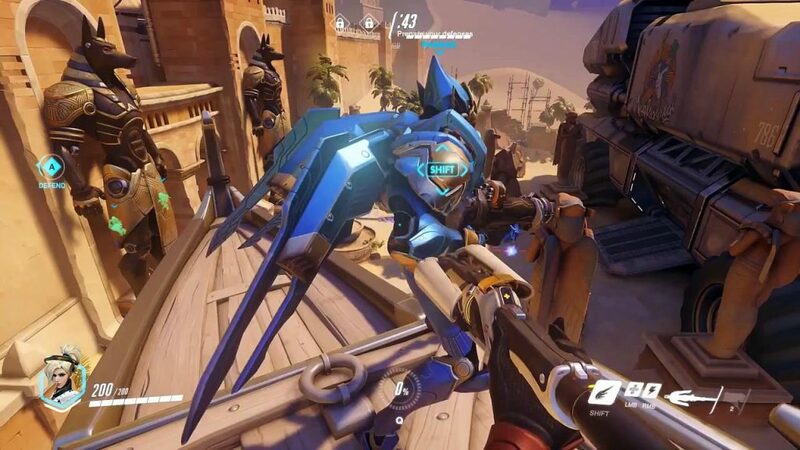 The Overwatch is out and its popularity and hype seems to have been justified. Overwatch has been online for a couple of weeks time and it has been extremely successful already with over 7 million players. 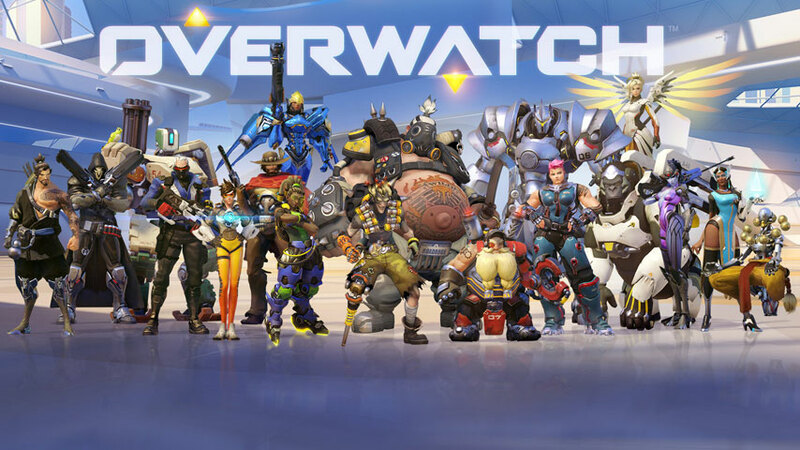 Overwatch may just take the First Person Shooter genre in a new direction going back to the older times of having different set class characters instead of options a plenty as seen in recent Call of Duty or Battlefield games where everyone is pretty similar for the most part. Overwatch brings 21 (more to come as free DLC down the line) characters, split into 4 categories, Attack, Defence, Tank and support, each character feels completely unique. Each character has positive aspects as well as drawbacks, Tracer, as the poster girl of the game is an absolute nightmare to deal with for Bastion but she’s relatively easy to deal with for characters that can take her damage like Roadhog although smart Tracer players will avoid the tanks and just go for disruptive game play that’s one of the best parts of Overwatch, the stress of the game is (for most players) objective focused and not a battle for most eliminations, you can’t even see other players kills and deaths which is really helpful as you do concentrate in playing a team role. As I have just said, team play is the absolute key to Overwatch which also means that picking a team that complements each other well is key, there is no point throwing 4 Widowmakers in an attacking team because they won’t even pressure the objective and having 5 Tracers at any time is not clever either, the enemy team will adjust and hurt you for it. 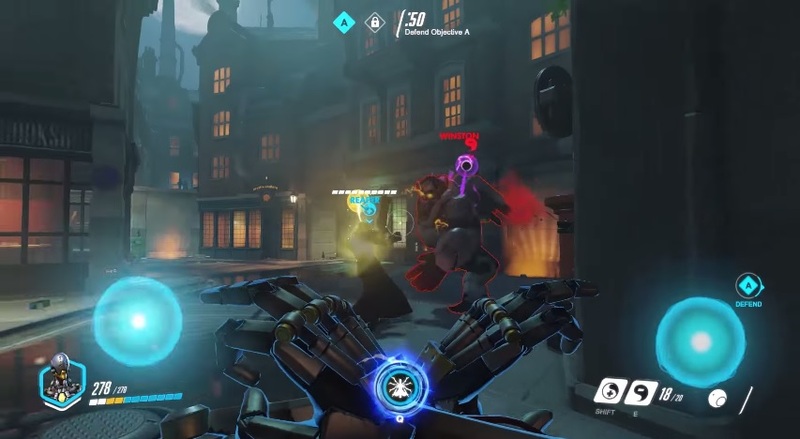 Adjusting your team in Overwatch is extremely important, picking a hero that counters the enemies heroes and vice versa, it can become a game of chess in a way! Also it really helps playing support, yes it may not be the glory kill class that everyone wants to play but in reality you will win games by being support by virtue of just healing your team during and between fights. So what makes Overwatch so good? It feels different from regular FPS games and every game does feel completely different as you will pretty much never play the same with or against the same 6 heroes and the composition changes all the time so your role will probably change too, it makes you think as a team and not just as an individual, team wipes are great but they are also useless if you are away from an objective etc. Also the graphics are fantastic, I love the cartoon like art style going on, it fits the game really well! Plus the back story of characters adds that little bit of depth and fun to the game! Just buy it, I guarantee you will have a blast. 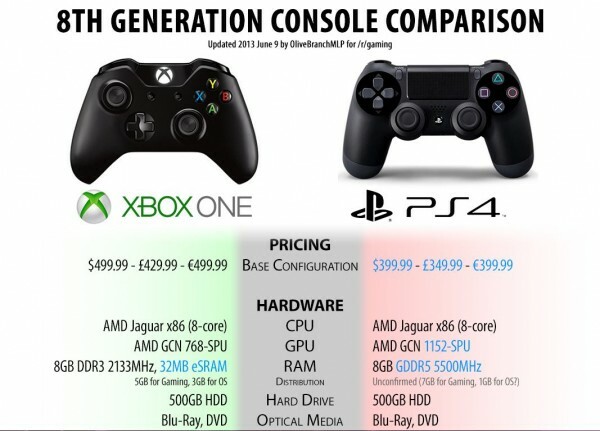 Read My Previous Blog: Is this the End of Consoles? Is this the End of Consoles? 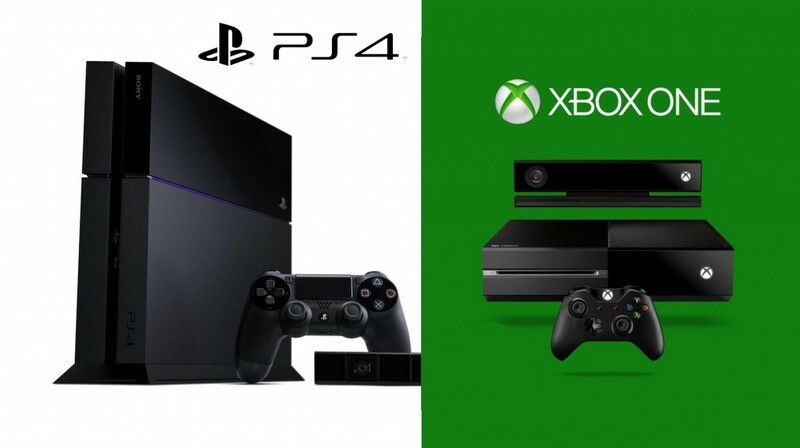 PS 4.5 and Xbox Next are seeming extremely likely as the rumours grow and grow, less than 3 years after the initial release of the Xbox One and PS4 could these consoles be the end of consoles as we know them? There were rumours even before the Xbox One’s release that it could be Microsofts final console and with sales struggling against Sony’s Playstation 4 and the obvious lack of gaming power behind both of them you can start to see that it may be a good idea for them to stop, especially if the rumour of an upgradable console becomes a fact! Then you might as well have a mid range PC that you can upgrade! Building a PC is easier than you would think and very rewarding (plus games are cheaper generally). Plus they can look really good! A very interesting yet slightly deep (in a nerdy way) question was asked to me by my friend Shaun Lloyd (consider yourself Boo Tube Famous! :D) whilst we were talking about life asked me, “If you could play one game for the rest of your life, what game would it be and why?” This question really stumped me so we put in some establishing rules, you can’t choose a series of games like the Halo games it must just be one, like Halo: Combat Evolved and the Master Chief Collection doesn’t count as it is a collection of games (same goes for Rare Replay). As this is very much a situational and impossible question the rule is that you can start the game over without knowledge of playing the game before, otherwise it would have forced the choice of a multilayer game and that would have been boring! So some of the choices that went through my head immediately were some of the more classic games I remember in my early gaming days, , Banjo Kazooie, Gran Turismo 2, Spyro, Pokemon, theres so many great classic games that would be fun to play over and over again! When most people talk games they are the ones that come up for a reason, they are fun to play and they carry a decent challenge, they carry great reward in the harder areas and seemed to take a long time to complete (at the time). The other options that came to mind were newer games that included multiplayer, like the first Call of Duty Modern Warfare! Everyone looks back on that game with the greatest appreciation! It had a great singleplayer and the best online experience at the time, it was definitely my top FPS game on my list! I considered the Halo games as well, Halo 3 at the time of released had me hooked the most but I really enjoyed Halo 2 and Combat evolved as well, I felt that lack of online multiplayer on Halo 1 took it down a peg and in the fairness of the question I wouldn’t have knowledge of Halo 1 so 2 and 3 would suffer in my opinion. Games like Destiny can be fun in bursts but the idea of grinding a lot of the time is dull to me, its OK is small doses but it gets boring fast! Other games that came to mind were Counter Strike, but that gets too frustrating at times. Portal 2 is a good one too, especially as its game with steam workshop so the levels are near infinite (sorta). 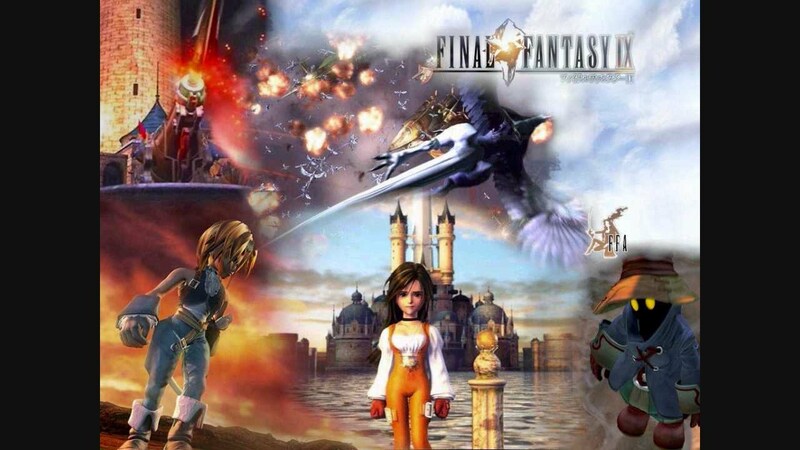 So which game would I pick… well I would pick Final Fantasy IX and I know other people will have different opinions on choosing Final Fantasy and then which Final Fantasy I should have chosen, BUT! 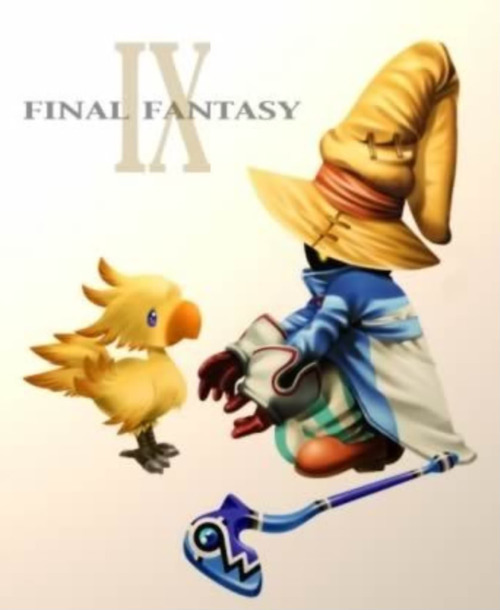 Final Fantasy IX has consistently made me happy through multiple playthroughs. 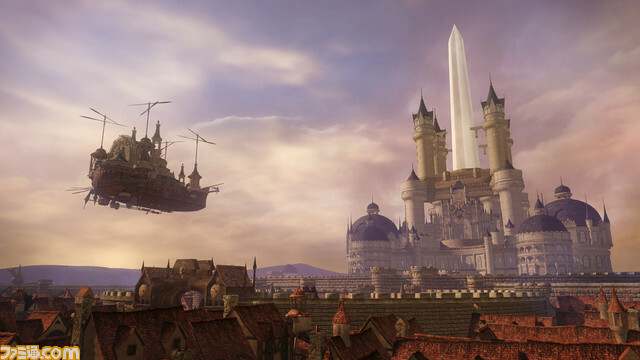 I absolutely love the story, the setting, the characters, the soundtrack, I could go on and on about it, the game gives me such joy with the romance and comedy, it all works so well and I have a great attachment to the characters, I would be happy to play that game over and over and in fairness I wouldn’t even care too much about forgetting about previous playthroughs! 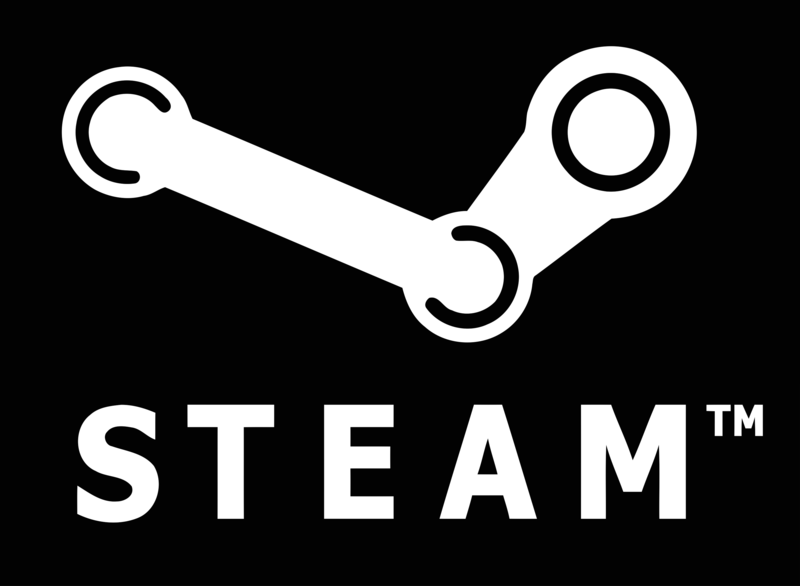 I just hope its steam release comes soon as the android version is seeming very appealing right now! 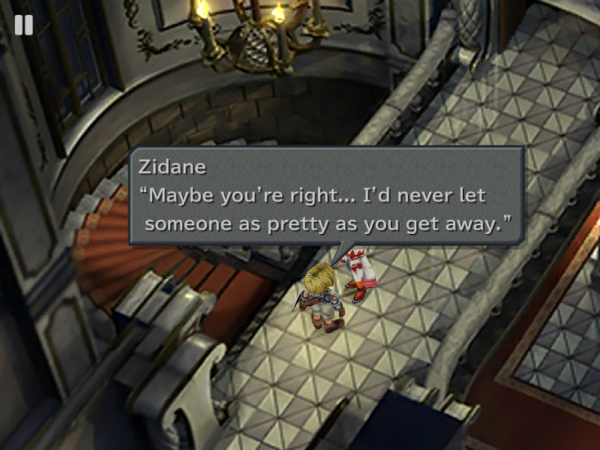 The message of Final Fantasy IX: Humans are small and helpless in an uncaring universe so we strive to give our lives meaning because, without some record of us, we’re akin to never existing in the first place. So, we create all kinds of crap out of fear. When we transcend all of that, we can finally grow and create the meaning we desire. We die, yes, but, without being remembered, we cease to exist. 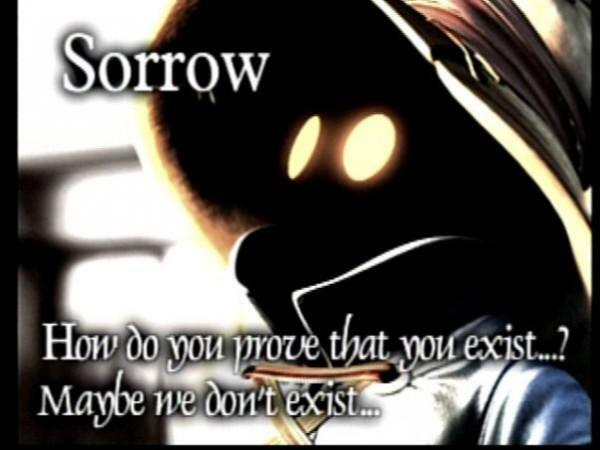 The most nihilistic and existential Final Fantasy. Every character is so beautifully written and covers every aspect of humanity so perfectly, I can’t help but LOVE this game for what it is! What game would you pick? Would it be one that teaches or maybe one that you are really good at, there are no wrong answers really. In the past year I have become a massive fan of PC gaming, not to knock consoles at all, I have played on consoles all my life and I won’t stop playing them but my new PC has taken precedent over my Xbox one for many reasons though and now with a large possibility of new consoles coming out soon and a likelihood of upgradable consoles, the PC becomes more worthwhile. PC’s are avoided by most gamers because they are a little bit more fiddly and there’s so many options for which hardware to choose and then you have to keep everything updated and there’s storage and all sorts to think about! Once you wrap your head around the basics of what you need and the order of compatibility then it becomes simple. Make sure your CPU is compatible with your motherboard, check what RAM you need, most graphics cards are fine as long as they fit. make sure your dimensions are all OK for the case you choose. Once you do these steps use a website like this to get a power supply that can power the system. 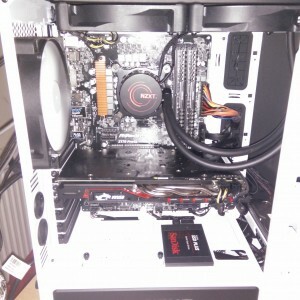 Building a PC is easier than you would first think too, but if you don’t fancy it then there are plenty of online companies that will build your PC to your specifications and that way you have warranty on the whole thing too! But building a PC is much better, you feel more intimate with your PC as you are the creator and it is unique to you, all consoles are the same, some may be different colours or wrapped but they aren’t too individual. Generally games are cheaper on PC than on console, this has been standard for as long as I can remember and I honestly don’t understand why! All games are generally becoming cheaper anyway and with digital games coming into their own and some CD key sites doing discount rates for all games (consoles too) I can see all games becoming cheaper. Generally PC games aren’t hard copies any more which means that you loose the opportunity to trade in, if that is what you want to do. PC games look better. This is a fact for any PC with half decent specs, you will run games smoother and nicer and generally have a better experience! Consoles are fine but you are locked into settings that the developer chooses and it often seems to be 30 frames per second, PC will run games at 60 plus as standard! You can upgrade parts of a PC to improve performance and/or stability, a console will rely solely on updates. On the other hand though PC updates can screw your experience up and you have to backtrack an update to get everything working again, this can go both ways. There are a couple of reasons that I have started to move over to PC gaming rather than console. Console gaming is great to just plug in and play but the PC is better for the ultimate experience. The M500 paintball format was met with a complete divide between people. Some completely against it and some impartial and willing to give it a try. 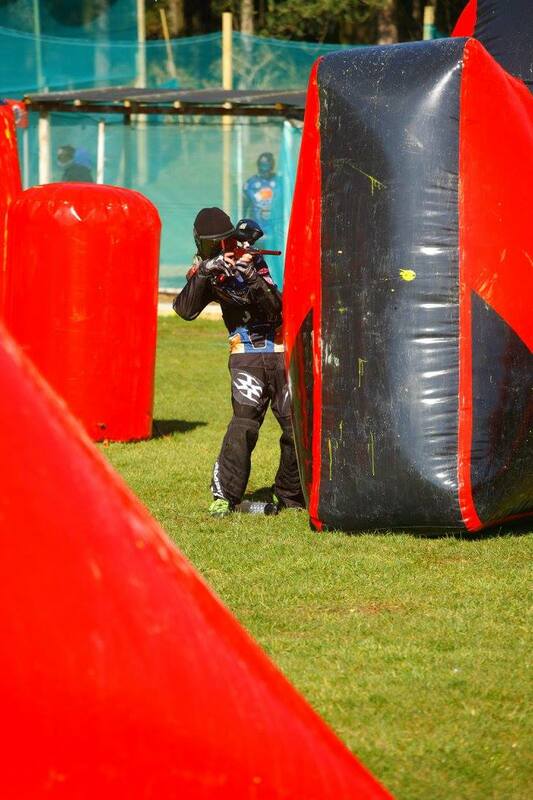 I was in the impartial vote, I always felt that paintball got ruined by the richer teams shooting much more paint than other teams and taking out some of the skill of paintball, but at the same time I can see why people are against it as shooting lanes is both fun and a fundamental of paintball! 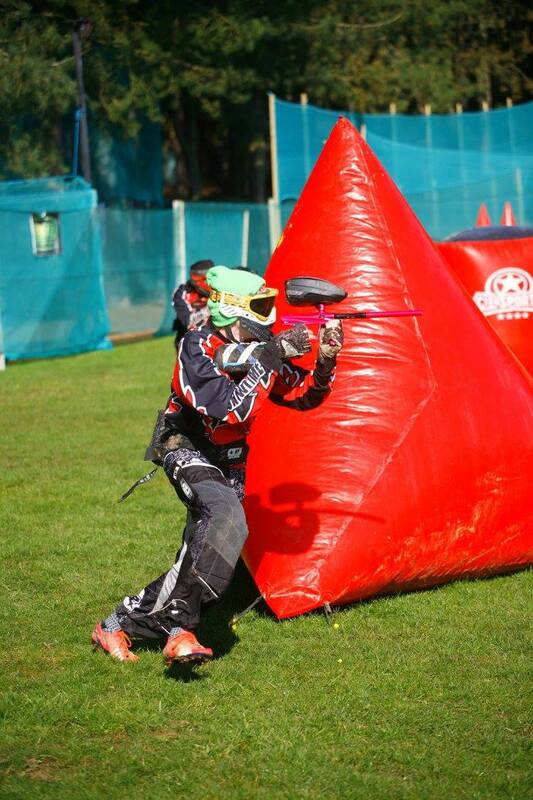 I got the chance to play M500 this past Sunday at Skirmish Paintball GI Cup Series, a warm up event for CPPS, the largest paintball series in the UK, after a few sessions with a personal trainer in London to get my stamina up. The event was at Skirmish Paintball near Nottingham and the venue was absolute incredible, the pits had wood chipping on the floor so you don’t have to deal with mud and stone, the field was well set out and was accurate to the Millennium series layout which was great! Air refills were to 3000 psi which is all that is needed when you wont shoot more than 500 balls maximum. The format was M500 standard 5 man, we played each team at once and there was a handicap system based on CPPS divisions (higher division teams get less points to start and lower newer teams got more), you would be awarded 2 points for a win and 1 point for a draw. That’s the simple part of the day, so how did the games go? Well most games were finished in less than a minute and I don’t think any games went on longer than 2 and a half minutes. Movement was key and getting out 5 alive seemed to be a must, the difference I felt whilst playing is the lack of constant pressure of a lane or 2 flying past my bunker making movement more difficult, people have to think about when and where they shoot which made the day very intriguing, big moves where generally rewarded but teams that sat back and let others move could make that style of play work too. Something I was a bit unsure with was the new “win” bunker that has taken the place of the M or A depending on which league you are playing in. It is definitely an improvement over the old Millennium M though! It does give a lot more central action, some teams opting to send not 1 but 2 people straight up the middle on the break so its definitely easier to get to but I am yet to notice a great benefit to it yet! Time will tell on this one. The best part of the day was the bill at the end, we shot less than normal and had just as much fun, if not more! I think this M500 paintball format is here to stay, It creates a much more skillful game than unlimited paint and allows more people to play the great sport that is paintball, make the sport affordable and more will come, the pricetag has always been an issue which pushes new and old players away! 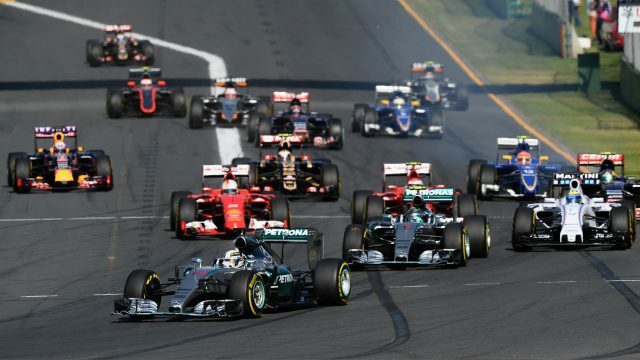 The Australian Grand Prix is fast approaching, the Formula 1 2016 season is about to start so naturally, some Formula 1 Predictions have to come in! Mercedes are ultra reliable this year, breaking down once in pre-season testing and having to double up driver shifts each day as they completed close to 100 laps each, each day! That’s crazy when you consider that other teams struggled to get close to 100 laps for the whole day! Alongside this reliability the Mercedes AMG F1 car seems to be very quick, I believe the team has sandbagged considerably during testing like they seems to do during practice sessions, each race last season Ferrari seemed close during practice and then dropped away during the main event. Yes yes yes, I know Ferrari topped the time sheets 7 out of 8 times during pre season testing, but they set times on tyre compounds 2 tiers faster than anything Mercedes even bothered touching, the ultrasoft and supersoft tyres won’t be used in Spain so those times aren’t relevant and the soft times are close to Mercedes, and Mercedes have the advantage on mediums. Ferrari traditionally like to go fast out the blocks so the car probably doesn’t have much more to give until upgrades come onto it, plus the engine seemed to have quite a few niggles that will need sorting if the Prancing horse wants to climb back onto the top step. Red Bull take back a podium spot in constructors as they get reliability back from the engine with arguably the best aero package on the grid, expect a strong close to the season and potential wins at Monaco and Singapore. That matte finish too! 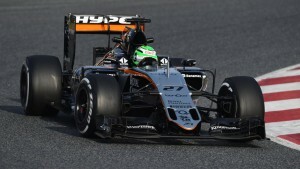 Honda learnt to hone their engine whilst Mclaren spend spend spend on the aero package, another car that will have a much stronger finish as the engine improves through the season. 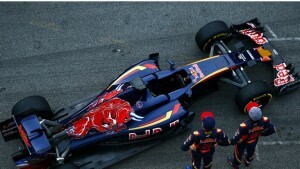 The Red Bull Junior team will probably continue to struggle with reliability problems that seem to always hamper them. There will be some brilliant drives from their young duo of Sainz and Verstappen who will probably outdrive the car. The new boys on the grid will probably turn a few heads and hopefully pave the way for more teams to enter F1 after the disastrous 3 entrants from 2010! Haas will probably end the season consistently fighting for the lower end of the points, the start of the season will likely be a learning curve for them as they learn the ways of the F1 circus. 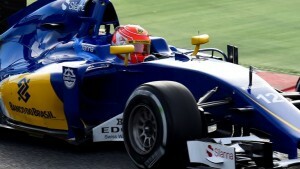 Sauber will struggle again this season, they are already struggling to pay staff and I don’t see the budget issue changing at any point! 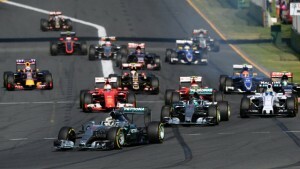 It is a shame as there is great potential in Nasr. The new works team are expecting a tough season and it will probably be as tough as they come. A season of learning and engine developing is the dish of the year for Renault, expect them to fight in a few seasons time. Check out the yellow car this year too! Nice to see some variation of colour coming in. 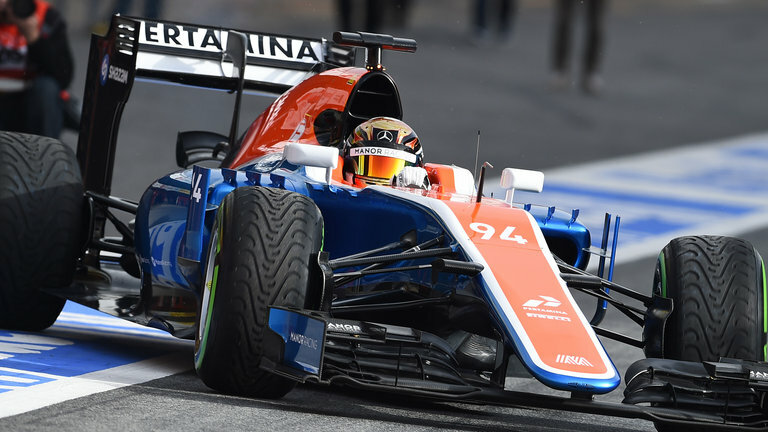 What can be said about Manor, no budget and probably no development through the year spells last place, they may be able to steal a point if they get extremely lucky though. Mercedes will probably dominate and Lewis will edge out Nico again, Lewis is a better overall driver and he doesn’t crack under pressure, Nico can be extremely good but fails when he needs to perform most. Everyone has their eye on Vettel to steal the party from Mercedes but Kimi has a good chance this year, the car seems to suit him more and he can hopefully give Seb a run for his money. What do you think this year holds? Have a different pecking order? Let me know! Recently I have completed one of the PC gamers milestones, I have been successful in my first custom built PC! N.B. I did buy thermal paste but the NZXT Kraken x61 comes with thermal paste pre applied. Check out some videos on Youtube, I found Linus Tech Tips extremely helpful as they do many build guides and you gain a basic understanding of what to do. Get a friend to help out too! Having an extra set of eyes can be extremely helpful, not to mention the help you get with the fiddly bits. 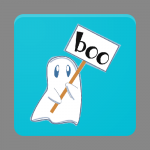 It is not as scary a task as some will have you believe, as long as you keep yourself static free and have something to ground yourself on (I had my old PC next to me) then you will be fine! Make sure you have the correct boot drives for windows otherwise you will have a large paperweight! Remember that your PC is upgradable in the future, you can change parts whenever you need! If you have been considering for some time about your first custom built PC then start saving money and go for it! It ended being one of the most rewarding experiences I’ve done and it looks great too! You can pre load The Division beta in preparation for the open beta this weekend. It’s available from February 18th for Xbox One and February 19th for PS4 and PC an will run until the 21st February for all platforms. After a successful run of Ubisofts The Division’s closed beta earlier this month the open beta should be a must play for all gamers, especially for the many gamers that got their code just before or even after the beta ended. 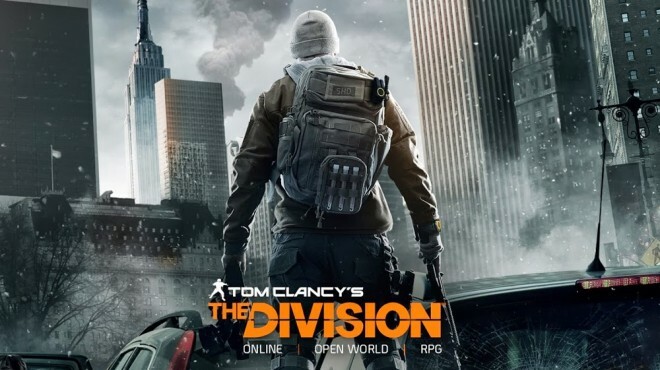 The Division has a lot of hype surrounding it and rightly so, the map is around the same size as Fallout 4 and set in New York with some stunning weather graphics, the first mission (only available main mission in the closed beta) was great and the Darkzone could be a brilliant and unique multiplayer idea with alot of potential to be frustration, according to Ubisofts stats 87% of players shot “friendly players” and went rogue, take some very trustworthy friends into it. I won’t add to much more, go play it, its free. The gameplay felt like a mix between Gears of War and Ghost Recon, the movement and cover system is very similar to gears of war. I was a little bit shaky with the cover system at first, but once you get used to the flow of getting between cover it works extremely well! The shooting is nothing too special, you feel like a regular guy shooting a powerful gun so you have to control you bursts otherwise you will miss the majority of your shots in mid-long range combat. The shooting is probably the weakest aspect, but even this feels unique and at least there is a challenge, at least at the beginning. Enemies are pretty dull, they don’t seem to have any variation in how they attack you and they have way too much health considering they are supposed to be humans. Like other RPGs you can tell the higher level enemies by the colour above their head, plus they generally have an actual name too! The single main mission that the beta had to offer was really quite fun bringing you into a Basketball stadium turned emergency hospital gives you an idea of the scale that this virus got to, whilst it does feel a bit eerie with it being empty, I wish they had added more blood and bodies into the mix to really make the message heard, it’s a little too clean to be a disaster site. Load times will probably be the nicest thing of the Division, as you will find… there really isn’t any! Once you load in you have load screen coming in and out of safe hubs and these are done by forcing you to walk slowly through a decontamination screen, its genius! The gun customisation on the other hand is fun! There seems to be alot you can change a lot of the parts on your gun and just as easily take them off afterwards to put them on a new gun if you so wish. I’m not entirely sure how many guns will be in the full game, the only extra gun I picked up during the beta was a different variant of the M4… It was worse, I guess I was unlucky on this one. The rest of the items I picked up were helpful and always increased my stats in the ways of speed or armour which was nice to have but I never felt too much threat whilst playing the game. Something to note, the beta only had preset character customisation options at the start but there seems to be a lot of variations you can choose at the beginning, probably not a much as Fallout 4 had though! 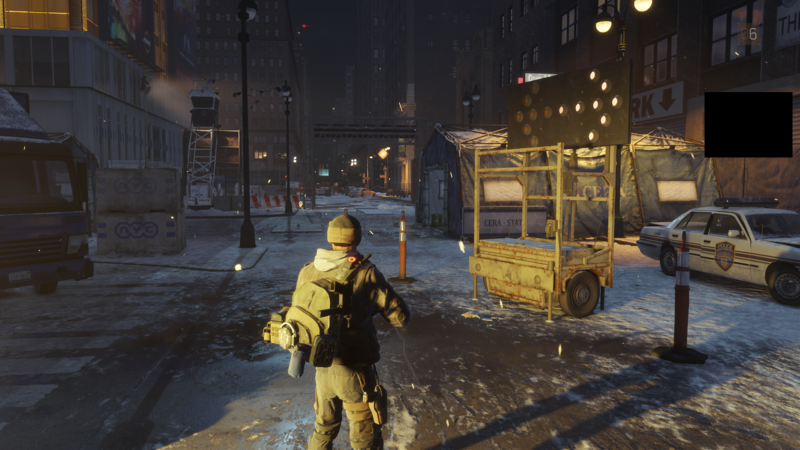 Overall The Division beta was a very nice experience, I’m slightly worried about the sidequest and possibly the blandness of walking around a very much grey New York. A second beta is meant to be coming to us around the 16th of this month so I will definitely give it more playtime then!